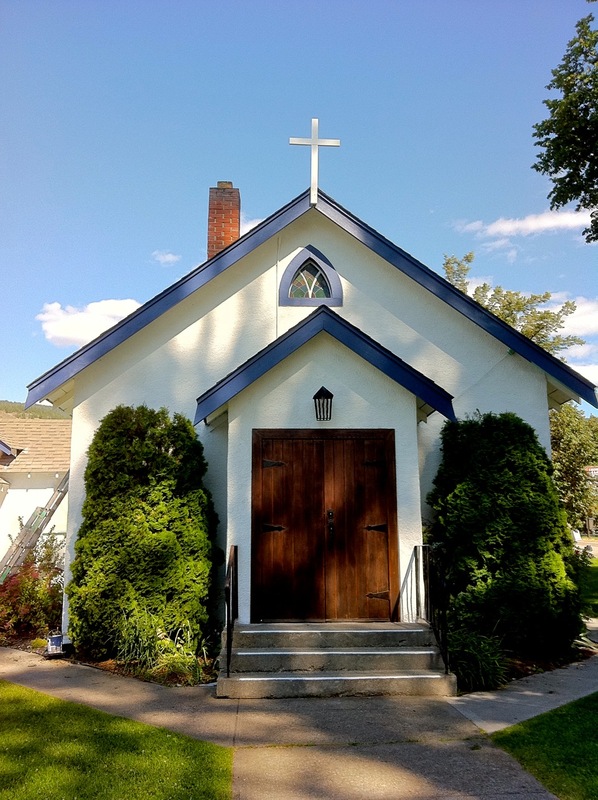 The Naramata Community Church is a shared ministry of the Anglican and United Churches of Canada. Sunday worship: 10:00 AM. Worship is done in both Anglican and United traditions. For details see our Worship page. Our Photos gallery shares a picture of the life of this church community. How to find us? Check out the Contact page. Maundy Thursday Worship, Thursday, April 18, 7:00 p.m. Remembering Jesus last evening with his friends, we include opportunity to all ow another to wash your feet or hands, sharing some lovely tastes of the kinds of food Jesus might have enjoyed with his friends and Holy Communion. We also clear and wash the altar. Good Friday, Friday April 19 – morning worship at 10:00a.m. we’ll share in the stories of Jesus’ arrest and death. A few people may be ready to share a short story of a day or time when everything changed for them and they were sure life was at its end. If you would like to offer a story like that, please be in touch with Rev’d Sandra Stickney 250 496-4293 or 250 496-5512.On Good Friday, we remember that the love remains no matter what else happens, love remains. Easter Morning, 10:00a.m. Easter Communion in the church with special choral music, Don Wade on Sax & Kristi Lind on keyboard. All are always welcome at all or any of these offerings. To help you hear: An Auris Hearing Loop, Induction Loop System has been installed in the sanctuary and hall. Please switch your hearing aids to the T position.